To transplant: Fill a container – at least 6 inches in diameter but the bigger your pot, the bigger your plant will grow – with a good potting soil. Add in some compost if you have some. Dig a small hole in the center in which to place the herb plant (including peat pot). Keep the soil slightly moist. You may need to water a little every day when it’s hot out. 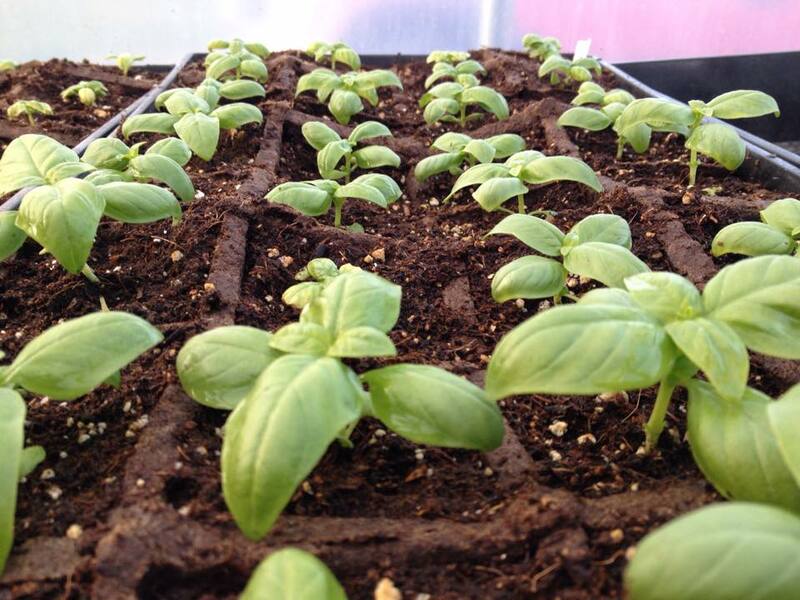 Keep the container in full sun – although don’t leave tender herbs like basil outside if the overnight temperature will drop into the 40s. Hardier herbs like sage, thyme, and oregano are okay into the 20s once they’re mature. Harvesting often is good but you don’t want to overdo it – this page has some great tips, and check out this one specifically about basil. Use your herbs often in all kinds of delicious recipes! Also check out this article for more tips! Next ›Dicot Farm Loves Pea Shoots!